“Why Curb Offshore Finance Now?” authored with Juan Pablo Bohoslavsky, Social Europe, May 4, 2016. “Connecting the Dots 7: Human rights, inequality and poverty,” P2P Foundation, April 15, 2016; and in Pambazuka News, March 23, 2016. “Why The Paris COP21 Agreement Could Make Disaster Inevitable,” Social Europe, January 8, 2016. “The Sustainable Development Goals: A Siren and Lullaby for Our Times,” authored with Alnoor Ladha, Occupy.com, 9/25/2015. “How Are Human Rights and Financial Transparency Connected?” keynote address at the conference Financial Transparency and Human Rights in Africa co-hosted by Global Financial Integrity, the Friedrich-Ebert-Stiftung (FES), and the International Bar Association’s Human Rights Institute (IBAHRI) in Johannesburg, South Africa, May 18, 2015. “Violence as a Contributor to Poverty,” Expert Reflections from Thinkers, Practitioners, and Activists, ACRONYM, published by WFUNA (the World Federation of United Nations Associations), Vol 3/ No 1, 32–33. 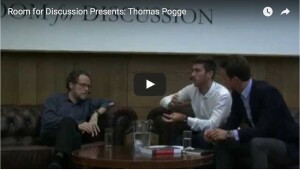 “With Professor Thomas Pogge on the SDGs,” Romanian International Development Review, November 6, 2014. “Betraying the Global Poor,” Institute of Art & Ideas (IAI) News October 2014. “Message to the UN: stop the loss of trillions of dollars to tax abuse,” The Guardian, September 10, 2014. “Big Holes in the SDG Draft,” authored with Gabriele Köhler and Mitu Sengupta, CROP Poverty Brief August 2014. “The End of Poverty?,” in The Mark News, May 29, 2014; Cyprus Mail, May 30, 2014; Peruvian Times, May 30, 2014; The UB Post Mongol News, June 4, 2014; and Japan Today, June 10, 2014. “The Post-2015 Development Agenda: The Way Forward,” CROP Poverty Brief, October 2013. “Poverty and the Post-2015 Deveopment Agenda: A reaction to the High-Level Panel Report (HLPR),” authored with Gabriele Köhler, Alberto Cimadamore, edited by Etienne Nel, CROP Poverty Brief, September 2013. “Eight Ways to End Poverty Now” in PassBlue Covering the UN, Ralph Bunche Institute for International Studies, CUNY Graduate Center, May 1, 2013. “Poverty & the Millennium Development Goals (MDGs): A Critical Assessment and a Look Forward,” authored with Alberto D. Cimadamore, Bob Deacon, Sigmund Grønmo, Gabriele Köhler, Gro Therese Lie, Karen O’Brien, Isabel Ortiz, and Asuncion St. Clair, CROP Poverty Brief, January 2013. “We Have the Power to Change the Rules,” authored with Tim Dixon, in Huffington Post, December 5, 2012, and in Al Jazeera, November 28, 2012. “Mobilizing critical research for preventing and eradicating poverty,” authored with Alberto Cimadamore, editorial in CROP Newsletter December 2011. “Endless Poverty is a Human Rights Failure” Task Force on Financial Integrity & Economic Development Blog, December 7, 2011. 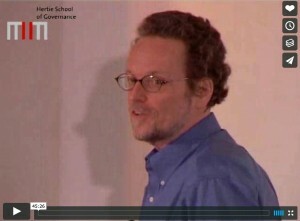 “Thomas Pogge: Could Globalization be Good for the World’s Poor?” the launch lecture of the Hertie School Lecture Series: Moral Challenges in a Globalizing World – Ethics and Public Policy, September 14, 2011. “A World Without The Poor, Not Without Poverty,” The European, Debates, August 8, 2011. “Rethinking Justice and Equality” in Social Europe Journal online debate, March 15, 2011. “Millions Killed by Clever Dilution of Our Promise” in CROP Poverty Brief, August 2010. “Financial Integrity Meets Human Rights,” authored with Raymond Baker and Arvind Ganesan, in Huffington Post, January 7, 2010. “Could Globalization be Good for World Health?” in Global Justice: Theory Practice Rhetoric 1 (2008), 1–10. “Extreme Poverty Statistics” in HD Insights, HDR Networks, July 2007, Issue 10. “A moral perspective: Deep concern” under “Differing views on globalisation” in Tim Dixon and John O’Mahony, eds. : Australia in the Global Economy (Sydney: Leading Edge Education 2006), 54. “Poverty is a Violation of Human Rights,” posted 1 August 2005. “What Is Poverty?” authored with Howard Nye and Sanjay Reddy, letter to the editors of The New York Review of Books, November 21, 2002. “Poverty — a Human Rights Violation” in (Columbia University Center for the Study of Human Rights) Rights News 23 (2001), p. 3. “Economic Justice and National Borders” in ReVision 22/2 (Fall 1999), 27–34.